Given that cowboy coffee can be brewed with no equipment at all simply by tossing in some eggshells to separate the grounds, filter papers are by no means essential. When a clear, filtered brew is essential, but no papers are on hand, a selection of unlikely materials will stand in as a last-minute replacement. Pouring boiling water over coffee grounds in a cloth filter was a standard way of preparing coffee up until the 20th century. In fact, in many coffee-producing countries, such as the Dominican Republic, a cloth filter is still the traditional method. 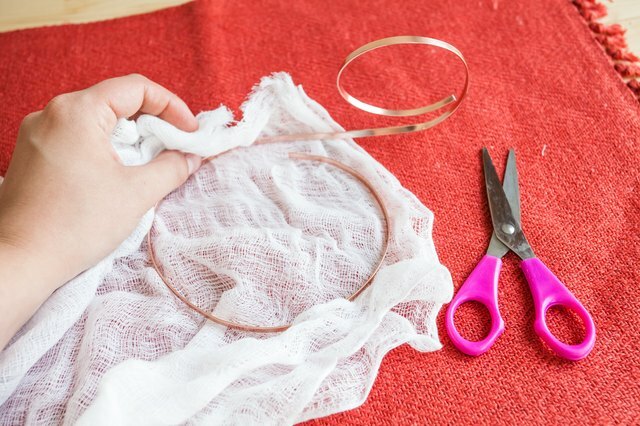 A reusable cloth filter is easy to fashion into a cone shape from cheesecloth or muslin, usually sewn or wrapped onto a wire ring that holds the cone open and serves as the handle. Muslin is the finer material, capable of removing fine particles and oils but allowing the water to pass freely, while cheesecloth tends to be more loosely woven and may need to be folded over onto itself. Rather than forcing the cloth cone into a filter machine, it is easier to rest it over a coffee beaker or cup and to pour the water slowly onto the grounds. 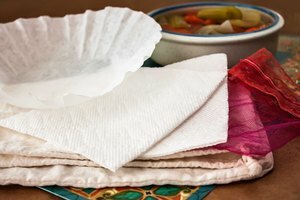 In a real emergency, paper towels can step in as a coffee filter. They might not be as aesthetically pleasing as neatly packaged filter cups, but the principle is exactly the same. 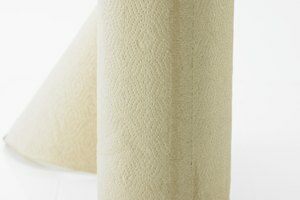 In truth, paper is much thicker and more absorbent than coffee filter paper, making the filtration process slower, but as a desperate measure to secure a caffeine fix, the method is reliable. 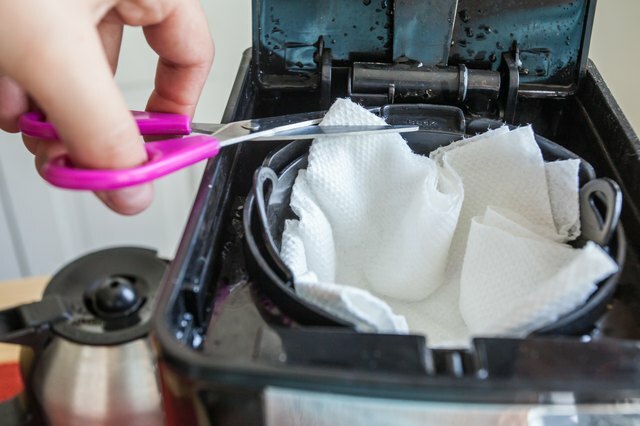 Lay a single sheet of paper towel into an empty filter canister, trimming away any excess above the rim if it is going into a coffee machine, but taking care not to tear the paper. Plain, unbleached paper should leave no trace in the taste of the coffee. 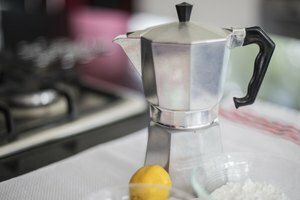 While perhaps not the ideal conclusion to a dinner party, using items of clothing made from thin cotton or meshed material as a coffee filter is perfectly efficient. 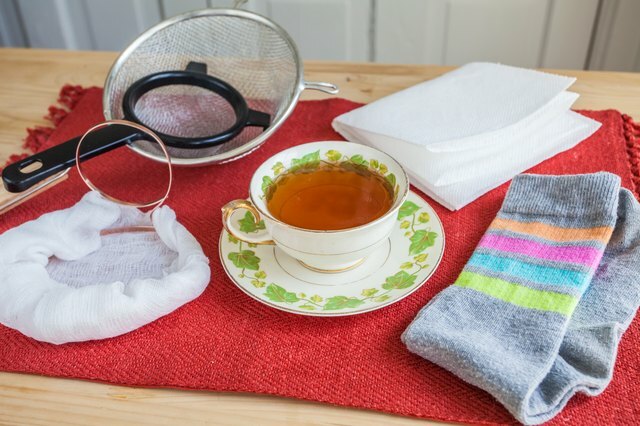 Cotton socks, for example, will separate the grounds from the brew with finesse, as will nylon hosiery or fine-mesh stockings, as long as they can keep their structure when doused in boiling water. Even an unused cotton handkerchief is easy to mold into the filter canister and will allow liquid to pass. The secret in each case is not to flood the filter with water but to pour it in a slow, steady stream, taking care not to let the water overflow. One of the more stylish coffee filters on the market is the reusable stainless steel or gold filter, such as the Kone, which captures the grounds but allows the oils to pass. 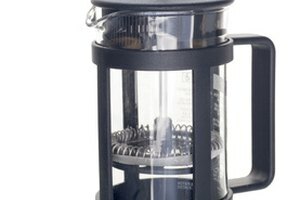 Designed to be sustainable and cut down on paper waste, the metal filter holds its own shape and is easy to rinse clean. For an adequate substitute, choose a fine sieve instead, such as the type used for dusting cakes with confectionary sugar. 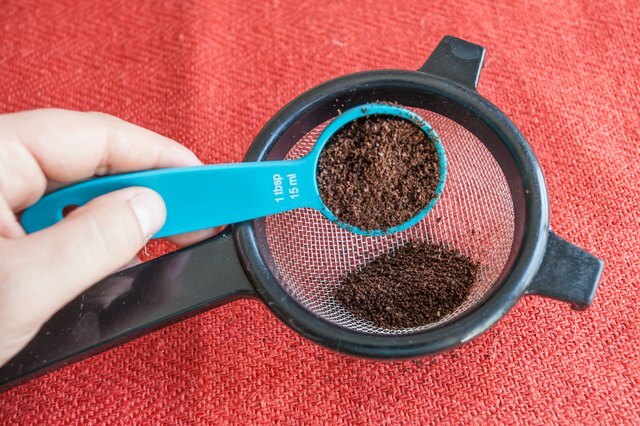 The mesh should be so tightly knit that it is hard to see through, complemented by a coarse coffee grind to yield coffee that is clear and particle free. A few stirs with a teaspoon as the coffee percolates will clear any sediment and allow the coffee to pass.